Much confusion surrounds this topic of gifts, ministries and callings, and much of that confusion could be greatly minimized by understanding the words scripture uses to describe them. So in this article, we mostly be touching on the meanings of these words and some of the words typical associated with them. Paul had a tremendous revelation of grace. God had visited him in dreams, visions and perhaps even by taking him to heaven itself in order to deposit a clear revelation of the grace of God through Jesus Christ. Paul taught us that grace was NOT just some power God remotely bestowed upon us in times of need – but that it is in fact far more personal and intimate. So there you have it – the great mystery of the New Covenant is God in and upon us, influencing us from within. God’s grace is pitted against His law – not because they are contrary in moral content, but in delivery. The law was and is external to God’s people. Grace is within God’s children. The law is a list of rules given to Israel because they refused to listen to God’s voice speaking to them – Exodus 20:19. In response to their desire to not hear God’s voice, He gave them a list of rules by which to live. Even so, God knew that these rules would not be enough to guide them clearly, so in addition to the law He gave the Prophets. These were the “seers” of old, who could “see” what the God meant by what He said in the law. So even under the Old Covenant, God was speaking to and through someone DIRECTLY. We see Jesus doing this in His teachings with the phrases, “You have heard it said…but I say to you…”. In these statements Jesus was not altering God’s holy word, He was simply clarifying it’s intended meaning. Grace on the other hand, is more personal. Under grace in the New Covenant, God speaks to us directly like He tried to do with the Israelites so long ago. This “speaking” of God comes in many ways, but it is ALWAYS called a grace. This is because it is the means by which God moves our hearts. By the Holy Spirit, Christians are directly INFLUENCED by Him from within as well as through our brothers and sisters. The world is, on the other hand, influenced by God from without an that, most often, through His children. This brings us to our topic of gifts of grace. 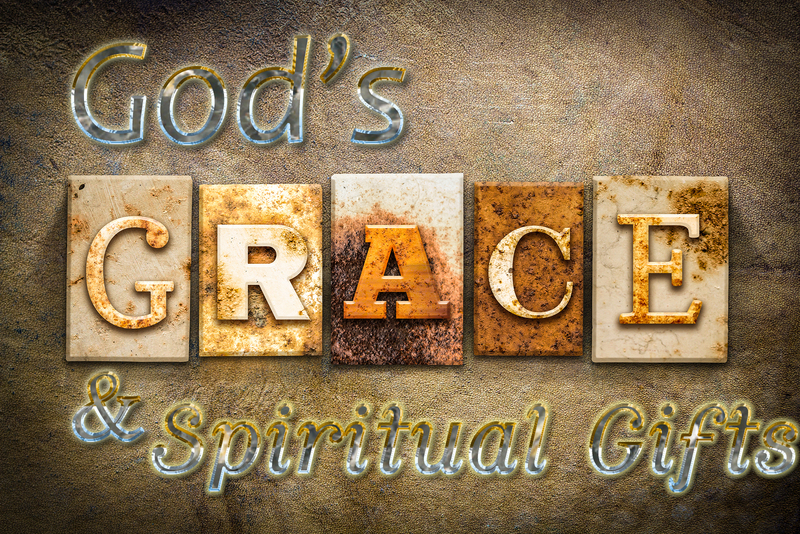 So, as we learn here about “gifts”, understand that we are in fact talking about ways through which God “influences” hearts BY HIS SPIRIT, through mankind, which is why they are often called “grace gifts”. The New Testament’s famous chapter on spiritual gifts is 1 Corinthians 12. Technically speaking, the word “gifts” is not even used at the beginning of the chapter and when it is used later, it is actually the word Charisma which is simply a derivation of the word charis – grace. The addition of the suffix -ma turns charis (grace) into the result of charis (grace) . Here at the beginning of the chapter though, Paul just lumps all the words into one and calls them “Spirituals” which is probably where some Christians get their confusion. The first thing Paul addresses after this introduction is that spiritual gifts are the result of the Spirit of God speaking or moving through His children. This is inferred rather than stated, by Paul revealing the real point and goal of all spiritual gifts, which is to point to and reveal Christ Jesus! Here Paul reveals that ALL true spiritual gifts reveal Christ and His Lordship! Gifts…all gifts, point to Jesus, build up Jesus, reveal Jesus, honor Jesus and strengthen His kingdom reign! I hope this teaching will challenge you and encourage you in your growth, placement in the body, your function in the body and your value as a Christian. If you do not know the Lord, I pray that you are encouraged to place your trust in the Lord Jesus Christ as Savior and Lord.